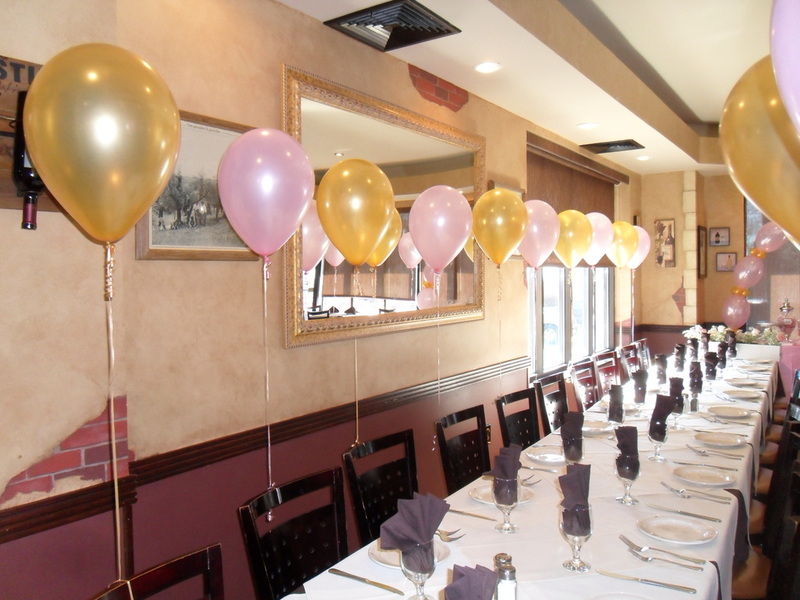 What a beautiful and elegant party! 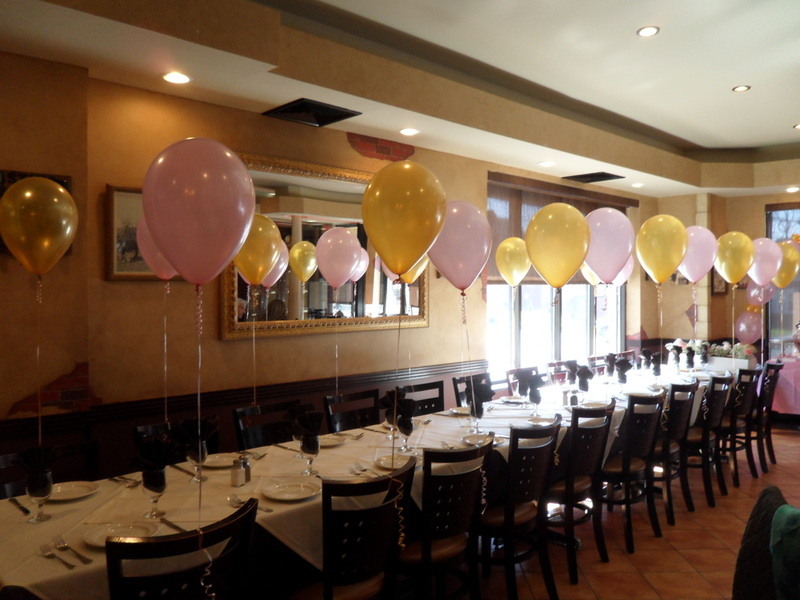 I PLACED ALTERNATING GOLD AND PINK BALLOONS ON EACH CHAIR. 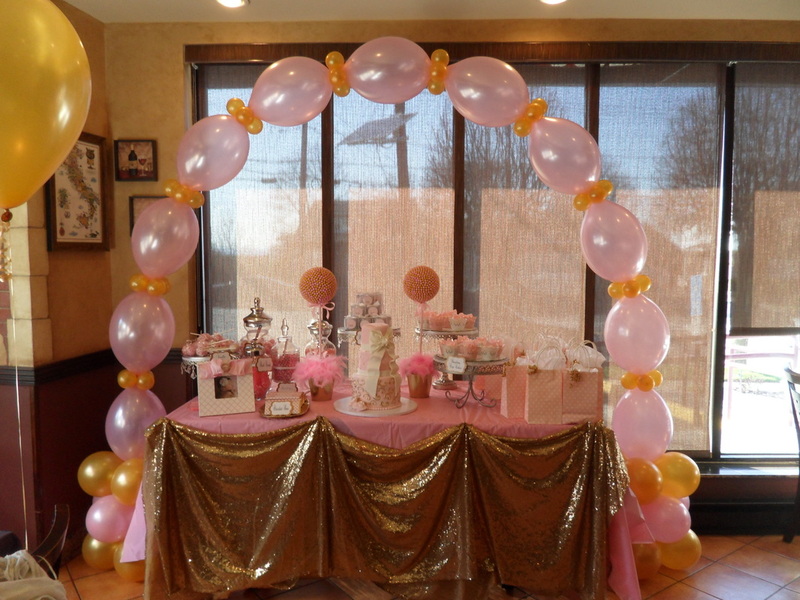 I CREATED A LINK-O-LOON ARCH USING PEARL PINK AND METALLIC GOLD. 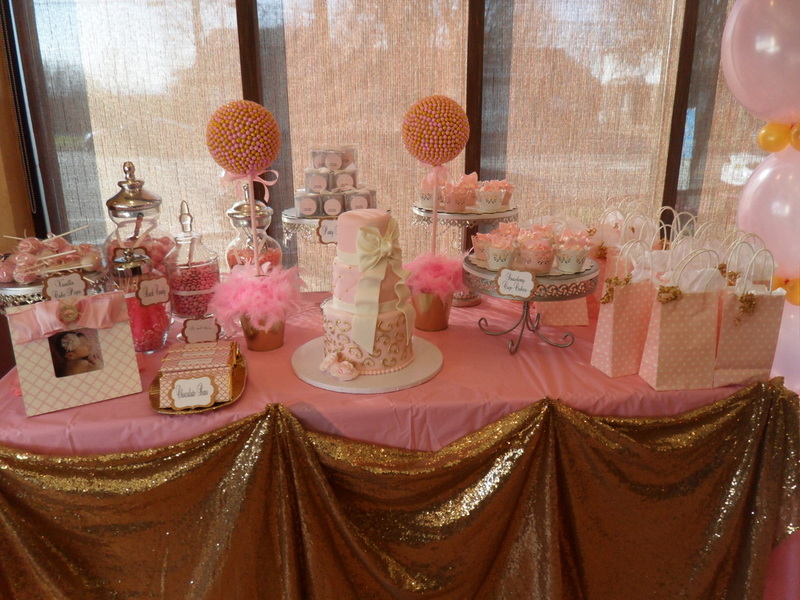 MY CLIENT DECORATED THE CAKE TABLE WITH A BEAUTIFUL CAKE, SWEETS AND CUPCAKES!